Bloodhound FX Studio has been established since 1994 and is located in Sydney, Australia. ​At Bloodhound FX we ensure that the specific work required is completed from beginning to end and that all our customers are satisfied with the quality and craftsmanship throughout the Concept / Sculpt / Mould / Cast / Paint and delivery process. Every project begins with a comprehensive and informative consultation and quote. At Bloodhound FX we have the experience with material knowledge to discuss all elements of the concept design vision required. We are determined to meet all deadline demands and pride ourselves on quality. Work in progress photos and approvals at all final stages are a high part of the collaborative process of all projects we take on. Bloodhound FX Creative Director Stuart Rowsell, has worked for over 25 years in the Art, Museum and Film Industries, contributing to many exhibitions and participating on over 25+ Feature Films including titles such as Star Wars Ep II & III, Stealth, Komodo, Pitch Black, Superman Returns, Wolverine, Great Gatsby, Mad Max: Fury Road, Gods of Egypt, Alien: Covenant and most recently Pacific Rim 2. With many years of experience also providing SPFX on TV Drama such as the Channel Seven series All Saints, Channel Nine series Rescue Special Ops and most recently the Chinese TV series The Chosen and ABC's medical drama Pulse. The portfolio of work also includes many Music Videos and TV Commercials, including the multi-award winning YOGO stop motion puppet TVC serial of the 1990's. 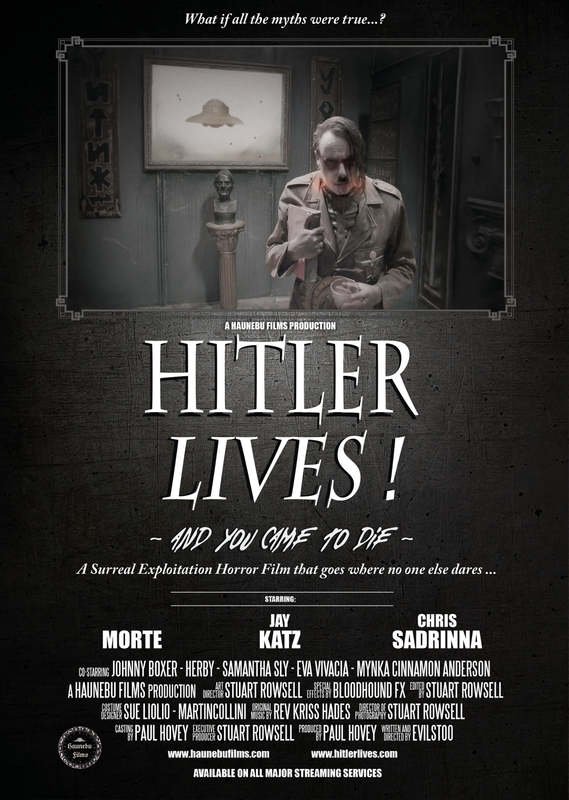 Bloodhound FX Creative Director Stuart Rowsell is also the Executive Producer and Director of the 2017 Independent Feature Film 'Hitler Lives!' which can be seen on most internet streaming platforms, such as GooglePlay, Amazon, iTunes, Xbox, Playstation, Vudu etc. ​The Surreal, Exploitation Horror Film is now available on all Streaming Services.